Welcome to 1775. A week ago, the British army clashed with colonial militia units at Lexington and Concord. Both sides lost men. Now the army is holed up in Boston, while the colonial militia is gathered outside. Both sides are anxious. The colonists expect an attack at any moment, and they’ve blocked the one road into Boston. The British army does not have enough men to take on all the colonial troops outside. 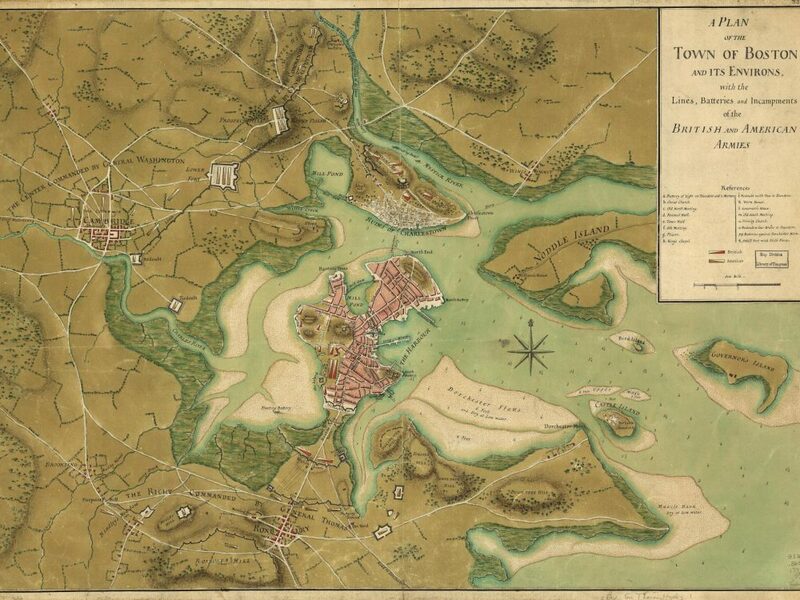 They must stay in Boston until more reinforcements arrive by boat from Great Britain. Meanwhile, the colonists cannot take on the army without more arms and ammunition. If only they could get more cannons – but the nearest ones are 200 miles away, and it’s winter. It’s a waiting game. Who will attack first? Meanwhile, you live in Boston, under siege. Food, wood, and all the necessities of life are getting scarcer every day. What will you do?